Say what job someone has. Learn some adjectives to describe qualities needed for certain jobs. Understand fairly detailed information about a range of jobs. Say when something will happen. You can download a zip file of these MP3s here. Your teacher will also have a transcript of the files. C4-2-1.2 pg. 121 - Feumaidh tu a bhith dìcheallach! C4-2-1.5 pg. 140 - Dè an obair a th’ aca? Although it is not unheard of to find shops, companies, and businesses with the title ‘& sons’ attached to their name, nowadays it is not so common for children to follow in their parents’ footsteps and enter exactly the same profession, generation after generation. However, back in the days of Clans and Chiefs there were some families that were famous for generations for being masters of particular professions. Two such families were the Beatons (sometimes known as MacBeths), who were doctors, and the MacCrimmons, who were pipers. Generations of both families were employed by Clan Chiefs and Royalty for their particular skills. The Beatons were exceptionally talented doctors. They were employed for many generations to tend the health of the MacDonalds of Clan Ranald in South Uist, Morar and Moidart, and to the Chiefs of the MacLeans in Mull. As well as looking after the health of the nobility, the Beatons also provided a medical service to many of the common people and clansfolk in these areas. Some historical accounts claim that the Beatons held their position as hereditary physicians to the nobles and Royals of Scotland for more than 400 years. 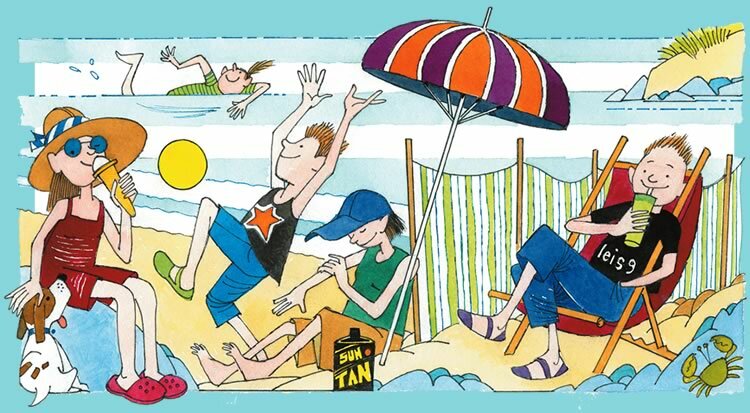 Historians believe that the first family of Beaton doctors came from Ireland and settled in Islay around 1300AD and it is claimed that almost every Scottish King from the 14th until the 18th Century received medical care from a Beaton physician. Possibly one of their most famous patients was Robert the Bruce. The last written record of the Beatons’ employment comes from a medical certificate written in 1716 by a Dr Donald Beaton, the last hereditary physician to Macdonald of Sleat in the Isle of Skye. Such was their skill, that it is said that only once was one of the Beaton doctors unable to diagnose a medical problem. The daughter of the very first Beaton doctor fell ill, and despite his medical expertise, he could not prevent her death. When a post-mortem was carried out, the girl’s death was put down to the presence of a live frog found in her stomach! After her death, Doctor Beaton Trìed to find a cure for this peculiar affliction, and eventually found nettle soup to be the answer! It is said that he used this to cure another girl who had swallowed a tadpole which grew into a frog in her stomach. 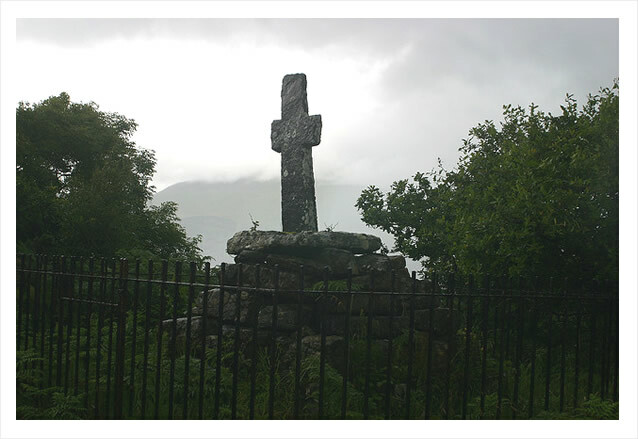 A memorial to the famous Beaton family stands on the Isle of Mull — the island with which they are most commonly associated. The MacCrimmons were extremely gifted professional pipers, and their name is famous in the piping world to this very day. 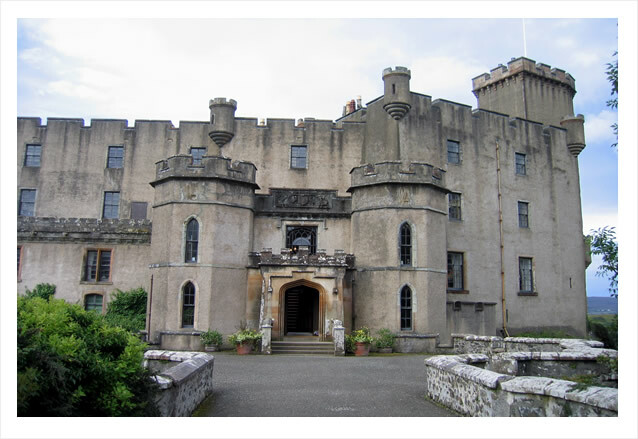 They were employed by the Clan MacLeod at their seat, Dunvegan Castle, in the Isle of Skye. Historians estimate that the MacCrimmon pipers held their position with the Clan Macleod for more than two hundred years, beginning around the early sixteenth century. There is some uncertainty about where the MacCrimmon family came from. Some believe they came over to Scotland from Northern Ireland, and other accounts claim that they originated in the small town of Cremona in Italy. Why would a chief employ a piper? Every morning, the piper would play to wake the Chief and his family with a special tune. He would also play on important occasions involving members of the clan, to commemorate weddings, births and funerals. When the chief wanted to hold a meeting, the piper played a gathering tune to call the members of the clan to assemble. Being a piper was an esteemed and well-respected profession. They were well paid by their chiefs and would sometimes be gifted land and property as payment. The MacCrimmons were given lands by MacLeod in the village of Borreraig, close to Dunvegan, where they set up a famous piping school. Because they were known to be the elite of pipers, Chiefs from all over Scotland would send their own pipers to Borreraig to learn the MacCrimmons’ art. The MacCrimmon course of study took at least seven years to complete; to become a MacCrimmon-certified master of piping, a piper had to learn at least 196 tunes. It was an extremely difficult task, and some students took over a decade to accomplish it. The MacCrimmon family remained at Borreraig until around 1770, when the last full time and resident hereditary MacCrimmon piper, Iain Dubh, gave up his post and returned the lands to the MacLeods. The Macrimmons’ piping school no longer remains, although their legacy will never be forgotten by piping enthusiasts the world over. 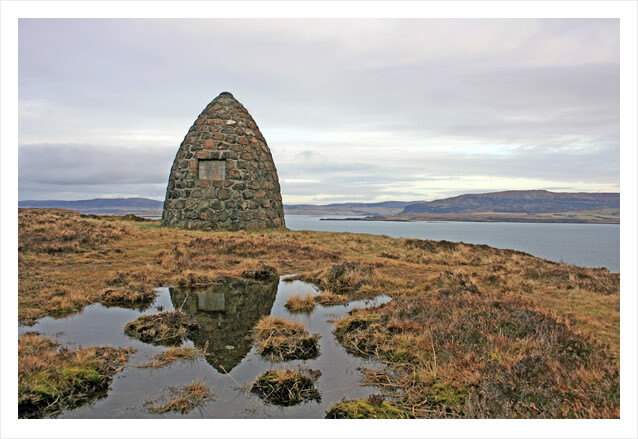 To commemorate the family, a cairn has been built to mark the spot where they lived and taught for well over two hundred years. Did you know that the Queen has her own personal piper? Every weekday at 9.00am he plays the pipes for about fifteen minutes under her window when she is in residence at Buckingham Palace, Windsor Castle, the Palace of Holyroodhouse or Balmoral Castle. How’s that for a personal alarm clock?